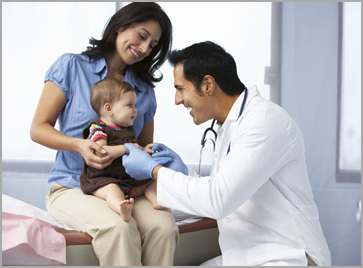 Advanced Monitors Corporation specializes in state-of-the-art medical diagnostic products for professional and home use. We partner with industry professionals to design and manufacture medical devices specifically for the medical, veterinary and consumer markets. 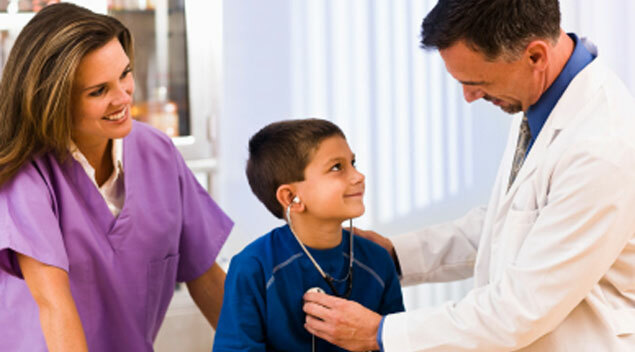 Our products include thermometers, video otoscopes, flexible endoscopes, dental cameras and surgical diode lasers. Advanced Monitors Corporation Designs and Sells One-Second Ear Thermometers and Rapid Digital Thermometers for Pet Owners. Advanced Monitors Corporation Designs and Sells Innovative Diagnostic Devices Specifically for use on Horses, Dogs, Cats and Other Companion Animals. A great product! Every pet owner should have one. The animal ear thermometer is a great product that we use on a daily basis in our Intensive Care Unit. It allows our technicians to quickly and accurately measure the ear temperature of both dogs and cats. 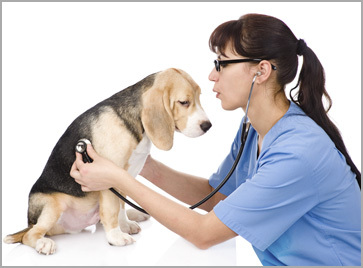 We use the professional version of the Pet-Temp on a daily basis. This innovative product makes temperature measurement of animals a simple and easy procedure. I recommend the Pet-Temp for quick and accurate monitoring of the family pet. I am the happy owner of a Pet-Temp Pet Thermometer. I am a volunteer for an animal rescue group. I deal with the cats and just dread taking rectal temperatures. I am sure the cats dread this, also. 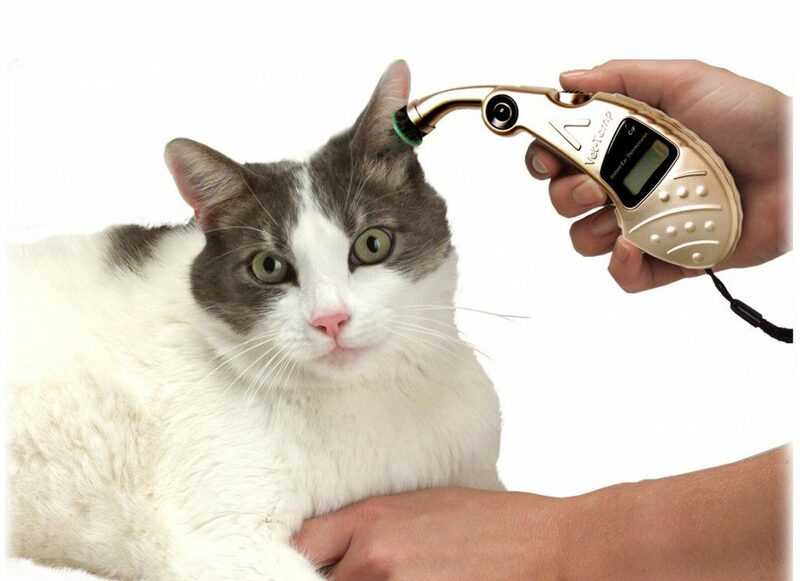 Using the Pet-Temp is much more convenient, and more pleasant, than trying to use a rectal thermometer on a scared cat. I can honestly say that the Pet-Temp is much less stressful on these rescued cats and kittens. I hope I never have to be without one. 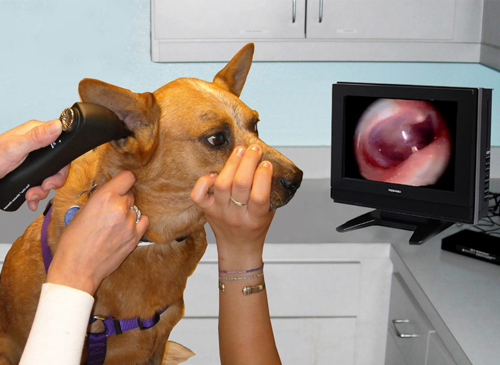 The best designed veterinary video otoscope available. We use them every day to generate additional revenue by showing every ear to every client! I have used a few different makes of Dynamic Respiratory Scopes and have found the Tele-View to be a dream to use compared to other makes. No wires, no cables, no backpacks, no hassles. The new articulation makes scope positioning much easier and more accurate. The scope stays in place well and my strike rate of diagnostic images has gone up markedly. Rick, thanks for thinking about us. I have made many equipment purchases in my 38 year veterinary career, some good and some not so good. One of my luckiest discoveries was your booth at NAVC and one of my best purchases was your scopes and you can quote me on that.